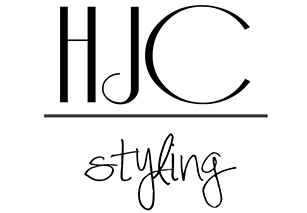 If you have any concerns, questions or queries about any of our terms and conditions, please email hayley@hjcstyling.com and we will be happy to answer them. The fee agreed on the phone, email or meeting will be confirmed in a ‘confirmation email’ within 48 hours including a invoice. It is your responsibility to check the content of the ‘confirmation email’ and that you agree with the sessions, dates and fee quoted. The confirmation email is our contract and receipt confirms your agreement with the session dates and fee agreed. If you have any queries or questions regarding its content, please respond within 48 hours. Where applicable, all sessions that comprise a package must be completed within a 6 month time period from the date of the first session, except in exceptional circumstances such as illness or pregnancy. If the terms agreed differ, this will be stated in the confirmation email. If applicable, we will be in touch to remind you to book in your follow up session, but we cannot guarantee availability at short notice and therefore bookings are advisable one month before your required date, especially in high season (September-December/ April-July), to avoid disappointment. As stated in the Consumer Contracts Regulations of June 2014, you have a 14 day cooling off period during which you are entitled to a refund or partial refund if you have decided to cancel, minus any Pay Pal fees if applicable, if you decide to cancel. Please notify us immediately should you not be able to make a session, and we will do our best to rebook you for a suitable alternative date as soon possible. We will not ask for any other payments In this instance however will keep payment. The final balance of payment will be invoiced and is due 7 days before the first booked session date of any package. Alternative payment arrangements will be considered on request, at the discretion of HJC Styling. Due to the preparation involved, the fee is non-refundable from 48 hours before a shopping session or 24 hours before a wardrobe session, except in exceptional circumstances and at our discretion. Again however please contact us if you want to reschedule. There is a 14 day cooling off period from the date of purchasing a Gift Voucher during which you are entitled to a full refund of your payment if you decide to cancel. There is a further 48 hours from the ‘giving date’ (e.g. birthday or Christmas), if it is outside of this window, if the gift is deemed unwanted or unsuitable. Unfortunately, after this time, no refunds will be given. All stylists will work to the best of their ability to deliver the best possible results for clients. However, full engagement of the client is required and we respectfully ask that you take time to fill in the information questionnaire and prepare for the sessions by completing the style assignment as requested. This is for your benefit to make the most of your investment in our services and expertise. Please make sure that you are engaged during your sessions by letting people know you are in a meeting and unable to answer the phone or emails. If there is a specific call you need to take, a break can be scheduled to accommodate it. Your stylist will do their best to prepare for the shopping session, however availability of specific stock is out of their control. Please also note that it is not the stylists fault if you leave the appointment with no outfits or clothing choices. It is understandable that in some cases, the occasion or season is not reflected in stores so it may be more difficult to find particular items. In this case the stylist will work with you via a FREE online consultation to ensure you get something out of your appointment. We understand that this is a time commitment, but when executed correctly, it is one which will pay for itself many times over. In the unlikely event that you have a concern or complaint about the service delivered, please bring it to our attention as soon as possible during the session, or within 48 hours after the session. Our commitment is to get the best results and give you the best service possible, and therefore it is essential that we are aware of any issue as soon as possible so we can rectify the situation and give your concerns our full attention. To get the best results, open and honest communication is essential, and therefore it is important to bring any concerns to your stylist as soon as you have them so they can be discussed. Stylists are covered by Public and Products Liability Insurance.